Grammy Nominations 2019: Did your favorite artist get nominated? 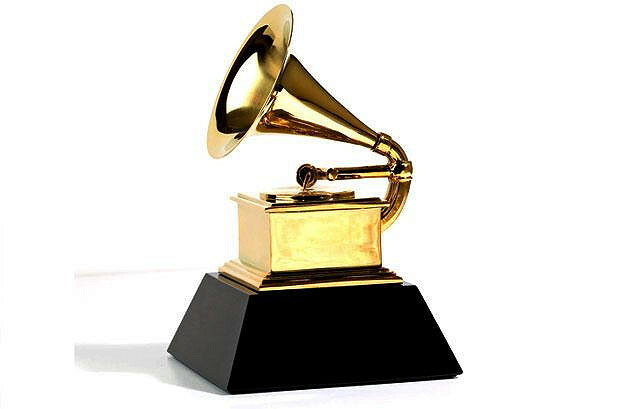 The gramophone, which is presented to an artist after winning a Grammy award. The new year has just begun, meaning that it’s award season again around the globe. This is no exception to the Grammy’s, who released their nominees for the 61st annual awards just around a month ago. Frequent chart toppers like Kendrick Lamar, Drake, and Cardi B all got multiple nods for the coveted awards, and will go head-to-head in many categories. Considering music is one of the most subjective topics, it’s no surprise that whenever Grammy nominations are announced, controversy around the world happens. People think that certain artists don’t deserve a nomination for the work they did last year, as well as others think that certain artists got snubbed of a nomination in certain categories. Because of how polarizing opinions on music can be, students at the iSchool additionally have their opinions on who they want to win the awards in each category, as well as who they think truly deserves the award. After listening through each song, Jeffrey Lesnik, an iSchool sophomore, thinks that God’s Plan will win song of the year.” Drake’s “God’s Plan” received four Grammy nominations itself, while Drake as an artist got seven nods for the elusive event. However, even with seven nominations, he isn’t the one ending up with the most nominations. That title goes to Kendrick Lamar, who ends up with eight nominations, mainly for his work on the “Black Panther” soundtrack. The soundtrack includes the song “All the Stars,” which is also nominated for Song of the Year. “This Is America” by Childish Gambino additionally got four Grammy nominations, but the artist himself is nominated for five Grammys, as his summer hit “Feels Like Summer” is nominated in the “Best R&B Song” category. Cardi B’s album is certified multi-platinum just 9 months after release, and all of the tracks on it are certified at least gold (500,000 copies or more sold). Post Malone’s “Beerbongs & Bentleys” was a major release in the first half of 2018, and it broke a record for the most streamed album, with over 700 million streams in the first week. Only a month later though, would this record be shattered by Drake’s “Scorpion,” which amassed 1 billion streams in its first week. H.E.R.’s debut album also had some hits, like “Best Part” with Daniel Caesar, which is also nominated for another Grammy. The “Black Panther” soundtrack, mainly made by people coming from the Top Dawg Entertainment label, had hits besides “All The Stars.” Tracks like “Pray For Me” with Kendrick Lamar and The Weeknd, as well as “X” from Schoolboy Q, 2 Chainz, and Saudi all made waves around the music industry. When it comes to who people thought were snubbed of an award, there were lots of them. “Daytona” was part of Kanye West’s “Wyoming Sessions” release summer, where he and his label released five albums in five weeks, all following a seven song tracklist. Besides “Daytona,” these “Wyoming Sessions” albums included: “ye” by Kanye West, “KIDS SEE GHOSTS” by Kanye West and Kid Cudi, “Nasir” by Nas, and “K.T.S.E.” by Teyana Taylor. Almost all of these albums received high critical acclaim, even though they went against the industry norm by releasing albums with only 7 songs, which didn’t go past 30 minutes of run-time.